BYTON's been getting a lot of attention here at the Beijing Auto Show. 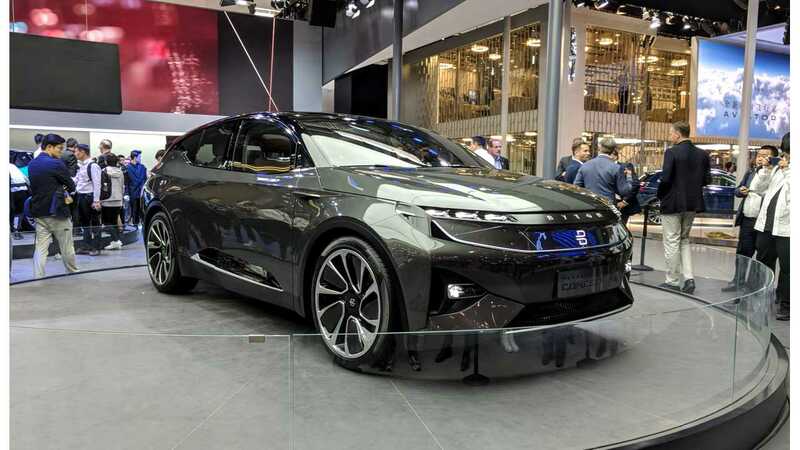 That might not have been the case in the US and Europe so far, but if BYTON continues to progress as they have been, that's going to change in the coming months. In the video above, BYTON founders Carsten Breitfeld and Daniel Kirchert introduce the BYTON Concept SUV to the media at the 2018 Beijing Auto Show. Carsten gives the presentation in English, and Daniel in Mandarin, so you can fast forward to when Carsten is speaking if you'd like to skip the Chinese translation parts. Above: BYTON's Concept SUV at the 2018 Beijing Auto Show. We're told the production version will be 80% to 90% the same as this concept. It will launch in China in 2019, and in the US and Europe in 2020.